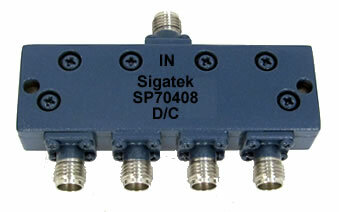 Shipping & Returns : Sigatek Microwave, Power Dividers, Couplers, Bias Tees, Hybrids, Phase Shifters, Adapters, Terminations. All domestic orders are shipped using FEDEX or UPS Transportation based on customer’s selection. ( United Parcel Service, UPS Ground, UPS 3-Day Air, UPS 2-Day Air, UPS Next-Day Air ), FEDEX ground, economy next day, priority. 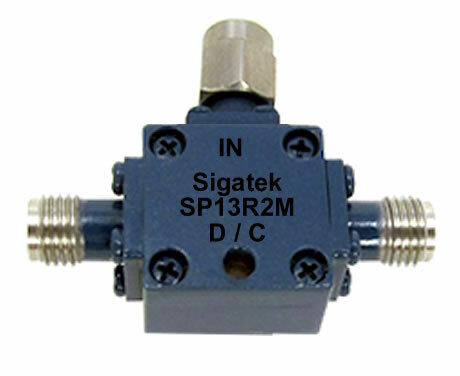 If customer chooses any other means of transportation, then customer needs to provide SigaTek the shipping account. Purchase Orders will not be accepted until funds have been received in full for wire transfer transactions. All duties and taxes are the sole responsibility of the buyer. United Parcel Service: UPS Ground, UPS 3-Day Air, UPS 2-Day Air, UPS Next-Day Air. : Ground, economy, next day, priority. All international orders will be shipped based on customer's arrangement. If customer does not give sigatek any arrangement then goods will be shipped using the most economical way using UPS international services or FEDEX international services.